This page contains a translation into English of the lyrics to "Aba'ad", a very well-known song from the Khaleegy (Persian Gulf) region. The full-length song is 20.5 minutes! Many dancers and musicians in the United States know this song as "Layla, Layla" because about 14 minutes into the song the lyrics sing "layla" (which means "night") many times over and over again. 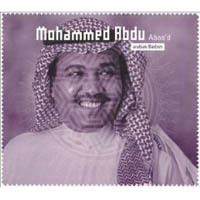 The Saudi Arabian vocalist who made this song popular was Mohammed Abdou. Iba'aad kintoum willa willa krayibean. Limradikoum. Dayem, dayem salimean. Far away you were, or near to what your heart desires. Always, always you are in good hands. Ma koul gheir allah. Allah ykouni b-a'oun killi el-a'ashikean. Ya-iba'aad. I do not say except oh God! God help all in love, oh you far away. Ma koul gheir allah. Allah ykouni b-a'oun killi el-a'ashikean. Ya-iba'aad. I do not say except, oh God! God help all in love, oh you far away. Iba'aad kintoum walla walla krayibean. Limradikoum. Dayem, dayem salimean. Far away you were, or near to what your heart desires, always, always you are in peace. Ma koul gheir allah. Allah ykouni bi-a'oun killi el-a'ashikean. I do not say except God! God help all in love, oh you far away. Ashtaak, ashtaak, ashtaak, w-asaal a'ankoum el-ashwaaa. I miss you, I miss you, I miss you and I ask my love about you. Li-fraak, li-fraak, li-fraak, maa ghayyer a'alayya lifraak Separation, Separation, Separation, did not change me, Separation. A'asakoum ma nisitouni a'asaakoum, w- a'asaa ma marr hawa baa'di w-khadakoum I hope you did not forget me, I hope. And I hope that another love did not come along and take you. Naater hawakoum naater. Kaader w-laani kaader. I am waiting for your love, I am waiting, but I can not. Li-fraak, li-fraak, li-fraak, maa ghayyer a'alayy lifraak Separation, separation, separation, did not change me, separation. A'asakoum ma nisitouni a'asaakoum, w- a'asaa ma marr hawa baa'di w-khadakoum. I hope you did not forget me, and I hope that another love did not come along and take you. Naater hawakoum naater. Kaader w-laani kaader. I am waiting for your love. I can, I can not. Ma koul ghaiyr allah ... Allah ykouni bi-a'oun kouli el-a'ashikeen I can not say except oh God! God help all those in love. Ya aba'ad! Oh you far away. Iba'aad kintoum willa willa krayibean. Limradikoum. Dayem, dayem salimean. Far away you were, or near to what your heart desire. Always, always you are in good hands. Ma koul gheir allah. Allah ykouni b-a'oun killi el-a'ashikean. Ya-iba'aad. I do not say except oh God! God help all in love. Oh you far away. Layla, layla, layla w-addi ahla layla, layla, layla Night, night, night, and this is the sweetest night, night, night. Mounyiti ashar maa'akoum layla, layla, wa- ishtiri b-omri ridhakoum layla, layla My wish is to spend one night with you, one night, and with my life your acceptance, one night. Yi-ra-widni el-amal fi layla alkaakoum, w-attirrid efarah ahzaani w-arjaak. A hope accompanies me that I will meet you in one night and with this joy I will kick all my sorrow. Layla, layla, layla, layla, layla ya layla Night, night, night, night, night, oh night. Mounyiti ashar maa'akoum layla, layla, wa- ishtiri b-omri ridhakoum layla, layla. My wish is to spend one night with you, one night and with my life your acceptance, one night. Eh-yrawidni amal fi layla alkaakoum, watrid bilfarah ahzaani w-arjaakoum. A hope accompanies me that I will meet with you in one night and with this joy I will kick all my sorrow. Yrawidni amal fi illayla alkaakoum, Ya habibi! A hope accompanies me that I will meet with you in one night ... Oh my Love! Saha fiil a'ashikeen, saaha fil a'ashikeen ya-aala kinanah. He shouted at the lovers, shouted at the lovers... Oh you from Kinana's tribe. A'ashikoun fi eljifooni minhou kinanah. Love in the eyelids, from Kinanah. Badawiyoun badat tallaaaia'ou lahzatan fakanat fattakatan fattaaaanah. Bedouin, he appeared and he was beautiful. A'adda minna el-koloub - a'adda minna el-koloub mounkasiraat a'indama raaha kasiran ajfaana. He passed by the hearts, passed by the hearts (Broken, especially when he went to break my eyelids). Badawiyoun aaah, aaah, aaah badawiyoun, kataratou elnaseem tajrahou khaddayh, wa- lamsou el hareer toudmi anaimaloho. 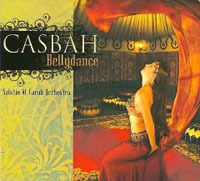 Bedouin, Oh, Oh, Oh Bedouin, the drops of the breeze wounded his cheeks, and silk touch makes his fingers bleed. Y-rawidni el-amal fi layla alkaakoum, wattarred bilfarah ahzanoukm. A hope accompanies me that I will meet with you in one night and with this joy I will kick all my sorrow. A'asaakoum ma nisaytouni a'asaakoum, w-a'asa ma marr hawa baa'di w-khadakoum I hope you did not forget me and hope that there was not another love that took you from me. Naater hawakoum naater, kaader w-laani kaader. I am waiting for your love. I can, I can not. Eish akoul ghair ellah. What can I say, except God! Allah ykouni b-a'oun killi el-a'ashikeen! God help all those in love!